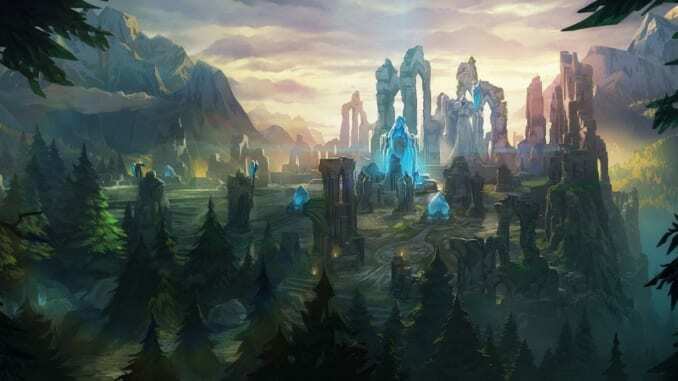 This article contains a guide on how to play top lane in League of Legends (LoL), including mechanics, strategies, tips and tricks, and ways to improve your game. The top lane is considered to be the most passive lane in League of Legends. It is usually the lane where tanks and juggernauts lash it out without even dealing damage to each other. Despite the criticism that this lane has, they are still very important in dominating the rift. Tankiness and colossal damage are usually the core of these laners, so the success of the team also rely on this lane to be effective. Here are some tips on how to dominate this lane. Top lane is very versatile in itself because many champions can be chosen. Some players may pick AP champions like Ryze or Gragas. Some may even pick ADC champions like Vayne or Caitlyn. These champions are good in some situations, however, tradition dictates that top champions should usually be tanky and/or assassins. Champions like Garen, Darius, and Illaoi are examples of juggernauts that are good in the top lane. Assassins like Yasuo and Zed are also viable in the top lane, since they can burst champions down while not taking damage at all. It’s up to the player to pick whoever they are comfortable with. As everyone expected, top is very passive and nothing usually happens unless one of the junglers decided that it would be a good idea for them to visit; more often this won’t happen. Common champions in this lane usually do not need a lot of items to be effective. While you are in lane, try to outfarm the enemy laner and occasionally poke him if possible. Secure the rift herald with the jungler if given the chance. On the other hand, top laners are usually the ones who teleport to the bot and mid lane. Teleport is also used to return to your lane when you recall. Always remember to maximize your teleport and try to get something back in return. A good teleport would be in the bot lane when the enemy are pushed back in your tower, this might get you two kills and a tower if done correctly. Teleporting will become more crucial in the late game especially if you are split pushing in the other side of a lane. Teleport allows you to respond to a team fight when you are split pushing a lane. Picking between these two choices can have drastic effect on the game. Assess whether your allies have decent tanks before going for a pure damage top laner. If your allies have a decent damage output, picking tank would be the best. Picking a bruiser build might still be the best since it gives you a mix of damage and resistance. Mid to late game is usually the time where the role of top laners are greatly needed. Their primary role is to initate team fights, soak damage, and sometimes peel the more squishy carries you have in your team. By this time, you should have decent items enough to sustain and mitigate some damage. Overall, top laners shine in the later stages of the game where they are considered as the front line damage dealers in a team. It may be slow and boring in the laning phase, but it gets better once you get a grasp of what you really need to do to succeed as a top laner.